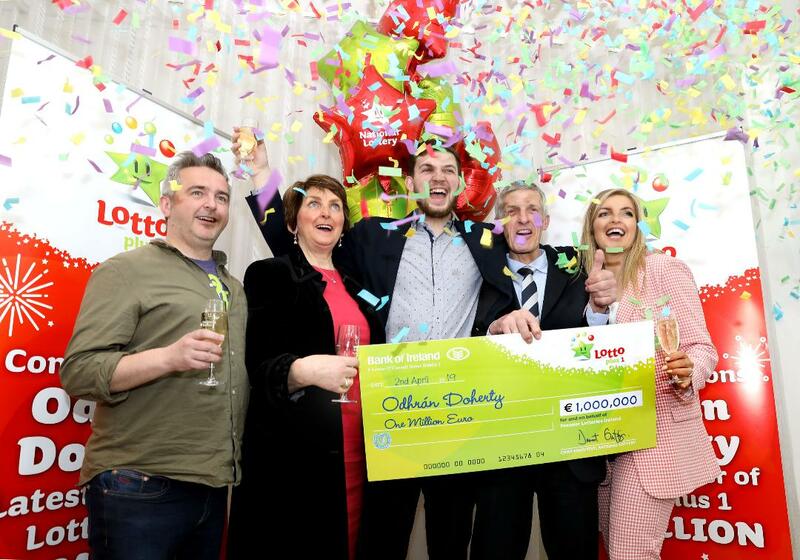 The lucky Donegal man is the 14th millionaire created since Lotto and Lotto Plus game enhancements were introduced last September. 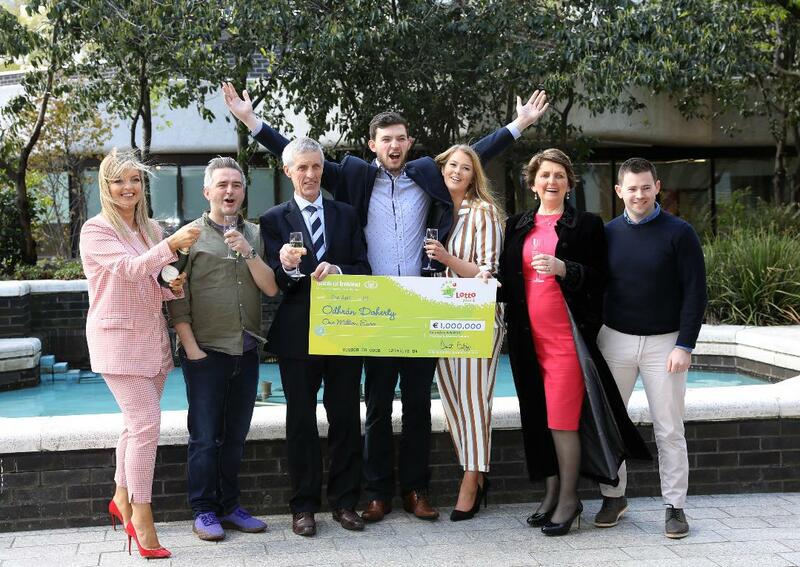 The game improvements – which saw the top prize in Lotto Plus 1 double from €500,000 to €1 million – have resulted in a 50% increase in winners, with over five million winners sharing almost €80 million in prizes since the September launch. 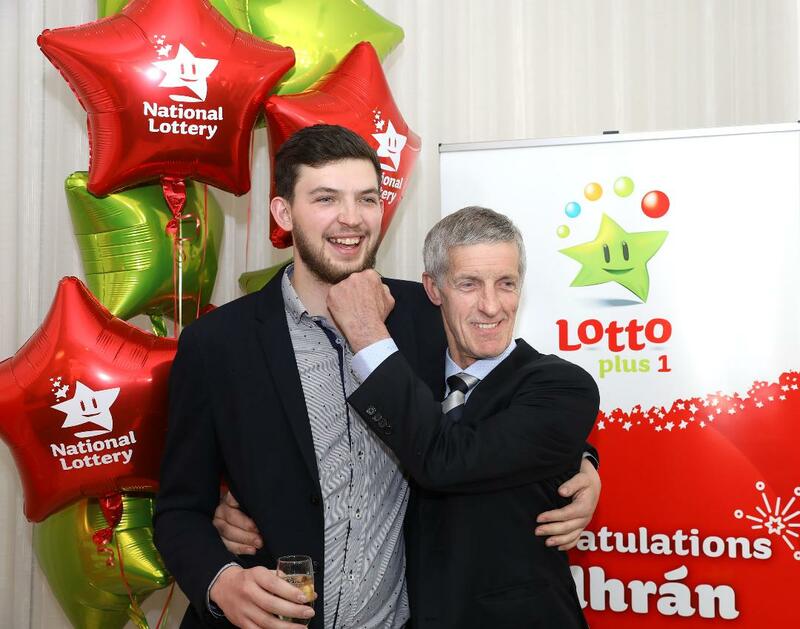 Odhrán – who arrived at Lotto HQ in style in a white Hummer with family and friends – said he was completely shocked when he checked the Lottery results on Saturday night and realised that he had won the huge sum of money. Odhrán was going to a party in a local bar that evening and called into the adjoining shop to check his ticket. His dad Liam said: “He rang me and said the ticket had said he was a winner. He checked with the guy in the shop but they said it was too big for them to tell him how much he had won. “He told me I had better come out. I thought it was an early April’s Fool joke or something. When I got out to him he came out of the party with his hands above his head and said he was a millionaire. Donegal Business women Inspire and Trend!